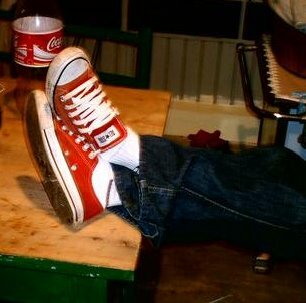 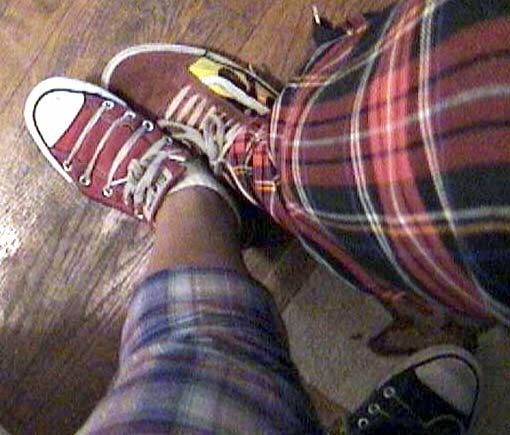 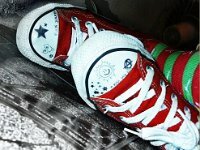 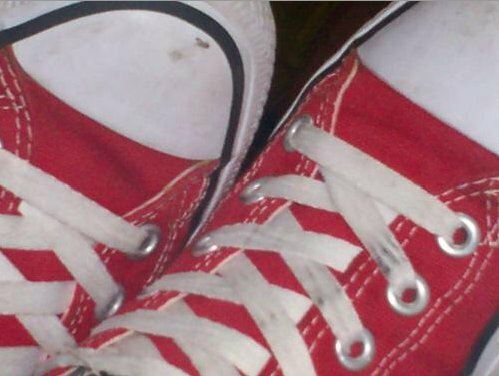 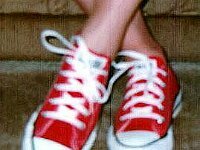 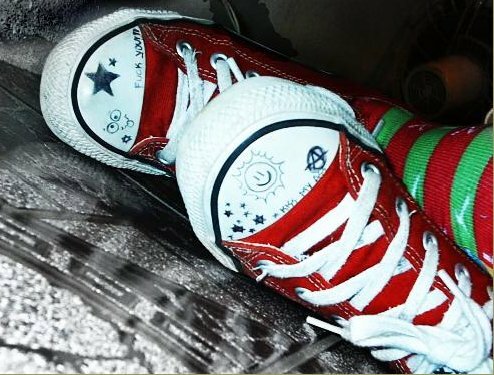 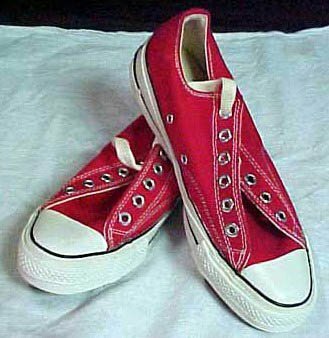 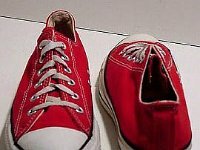 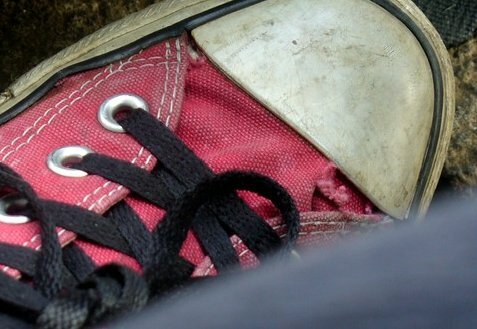 Photo gallery of various models of low cut red chucks. 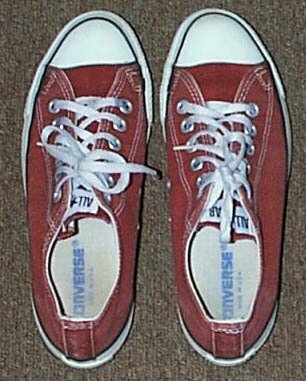 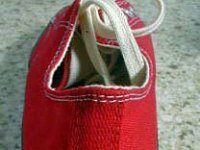 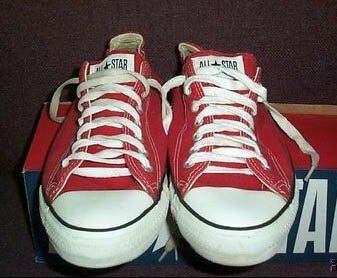 1 Red Low Cut Chucks New unlaced red low cuts made in the early 1990s with box. 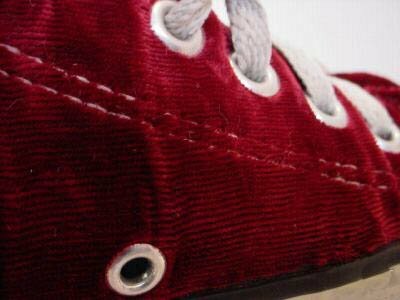 2 Red Low Cut Chucks Close up of a red corduroy low cut, inside view. 3 Red Low Cut Chucks Red low cuts, angled side and top views. 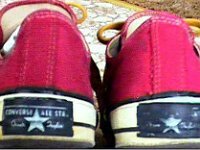 4 Red Low Cut Chucks Worn red low cuts, top view. 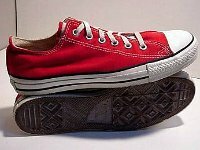 5 Red Low Cut Chucks Rear view of made in USA red low cuts. 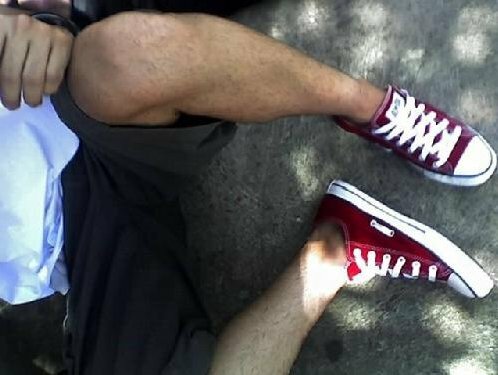 6 Red Low Cut Chucks Brick red low cuts, top view. 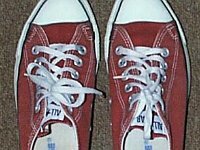 7 Red Low Cut Chucks New red low cuts, inside view of the right shoe. 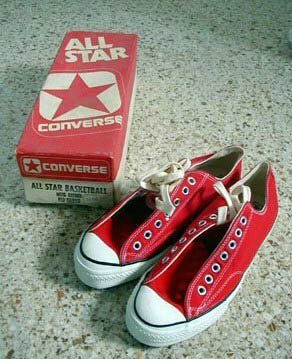 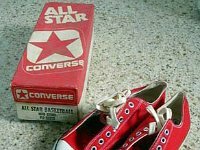 8 Red Low Cut Chucks New vintage red low cuts, with box. 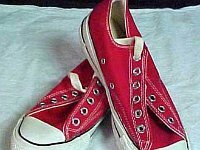 9 Red Low Cut Chucks Rear view of a vintage red low cut. 10 Red Low Cut Chucks Close up of red low cuts. 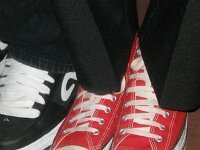 showing the fronts of the shoes. 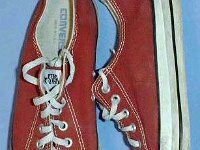 11 Red Low Cut Chucks Worn red low cuts, side and top views. 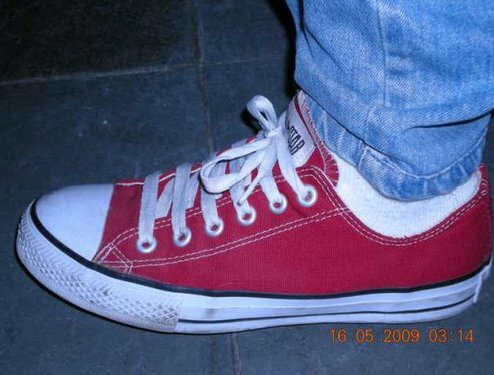 12 Red Low Cut Chucks Worn red low cuts, top view. 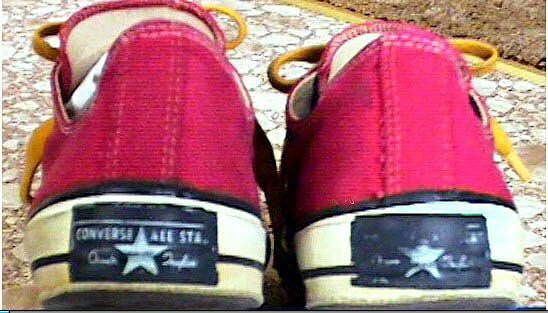 13 Red Low Cut Chucks Red low cuts, angled side view. 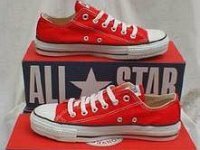 14 Red Low Cut Chucks Red low cuts, front and rear views. 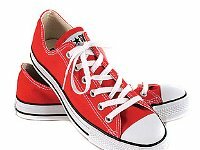 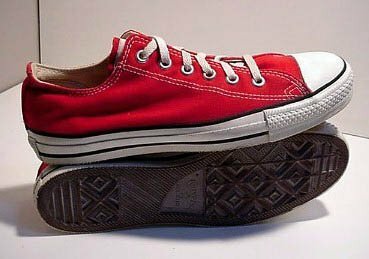 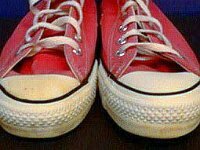 15 Red Low Cut Chucks Red low cuts outside and sole views. 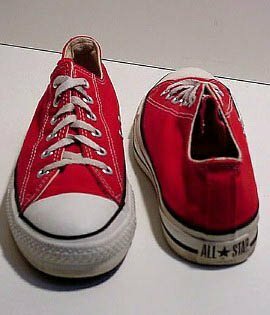 16 Red Low Cut Chucks Right red low cut, outside view. 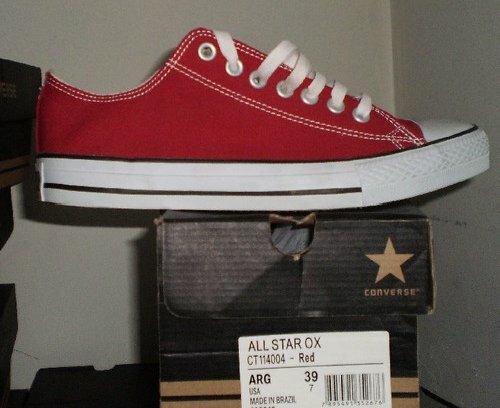 17 Red Low Cut Chucks New red low cuts, side views with boxes. 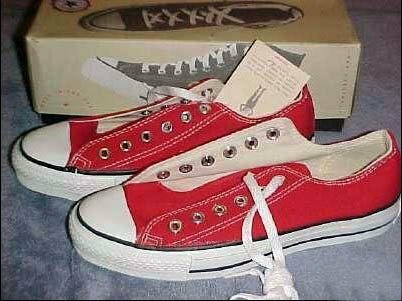 18 Red Low Cut Chucks New red low cuts, top view with boxes. 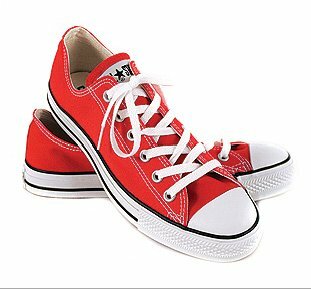 19 Red Low Cut Chucks Right red oxford with straight lacing, angled side view. 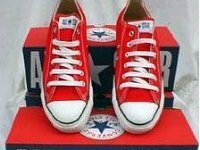 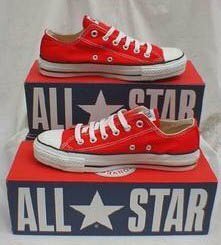 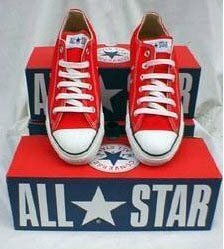 20 Red Low Cut Chucks Red low cuts, top views with box. 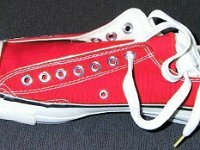 21 Red Low Cut Chucks New unlaced vintage red low cuts, top view. 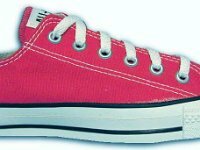 22 Red Low Cut Chucks New vintage right red low cut, side and top view. 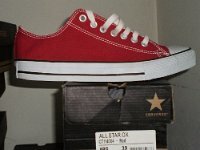 23 Red Low Cut Chucks New made in USA red low cuts, side view with box. 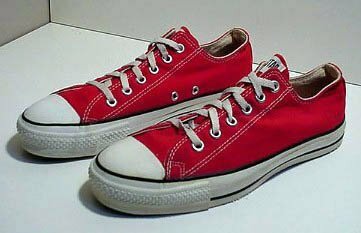 24 Red Low Cut Chucks Red low cuts, angled side views. 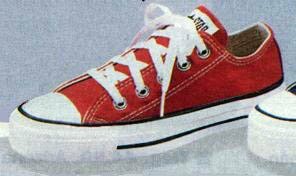 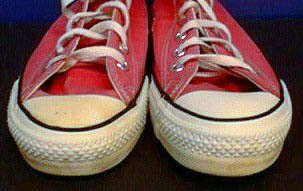 25 Red Low Cut Chucks Vintage red low cuts with yellow laces, rear view showing the older black heel patches. 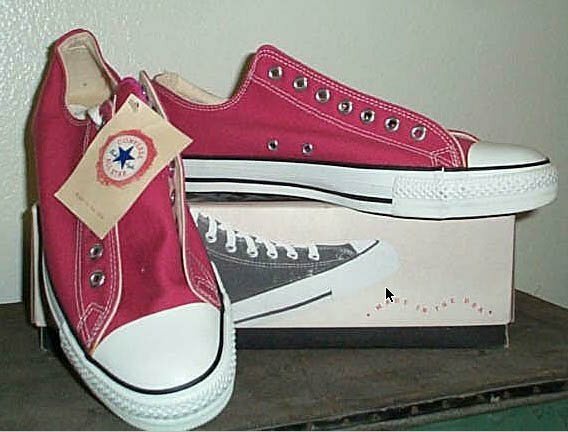 26 Red Low Cut Chucks Angled top and side views of red low cut chucks. 27 Red Low Cut Chucks Side view of a brand new right red low cut chuck on its box. 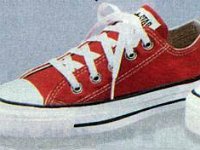 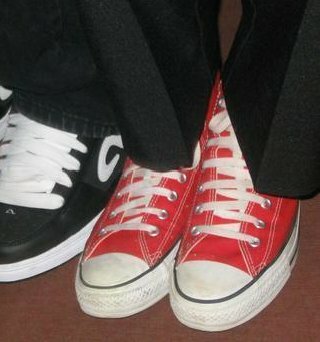 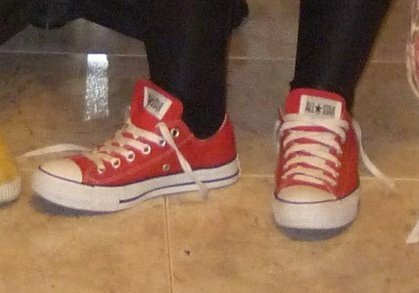 28 Red Low Cut Chucks Wearing red high top and low cut chucks. 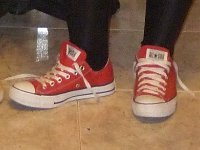 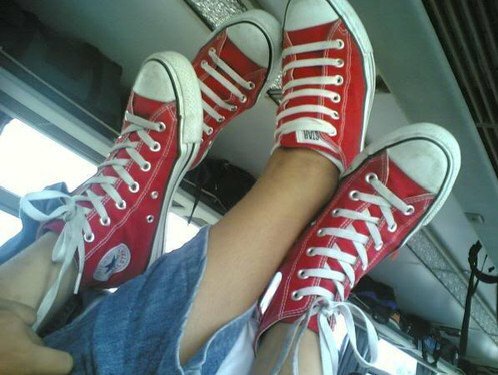 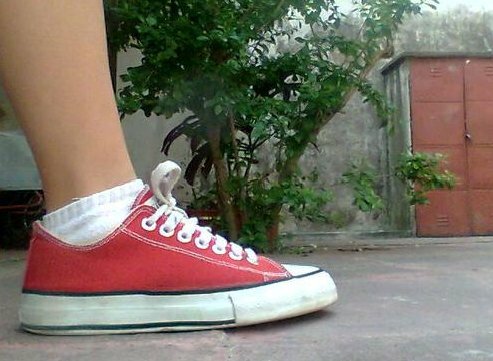 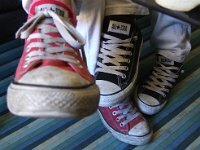 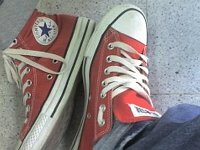 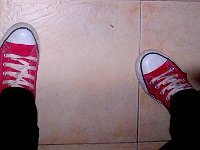 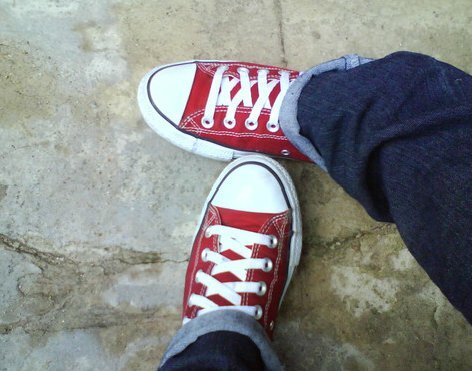 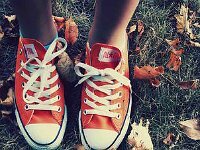 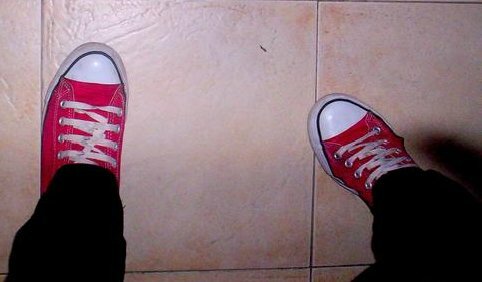 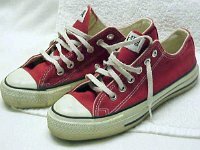 29 Red Low Cut Chucks Wearing red high top and low cut chucks. 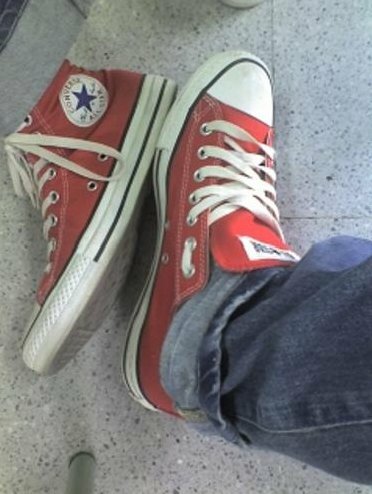 30 Red Low Cut Chucks Stepping out in red low cut chucks. 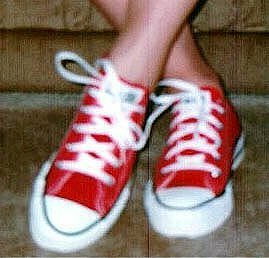 31 Red Low Cut Chucks Seated wearing red low cut chucks. 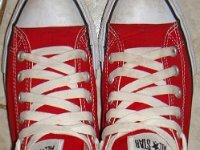 32 Red Low Cut Chucks Wearing low cut red chucks, top view. 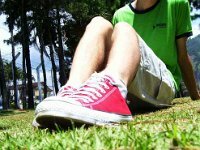 33 Red Low Cut Chucks Seated on the grass wearing red low cut chucks. 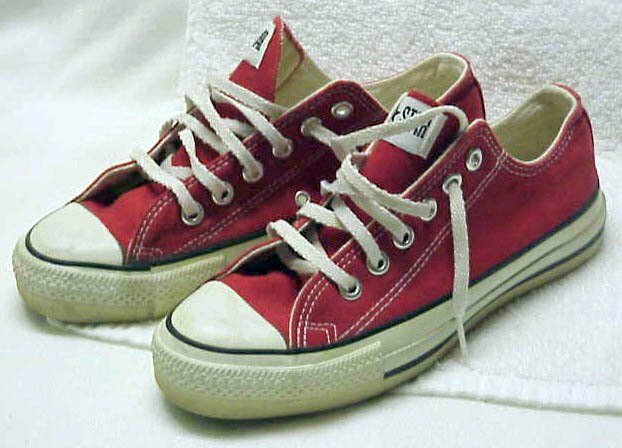 34 Red Low Cut Chucks Wearing red low cuts, side view. 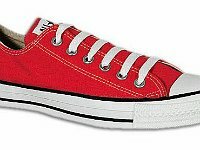 35 Red Low Cut Chucks Wearing red low cut chucks, front view. 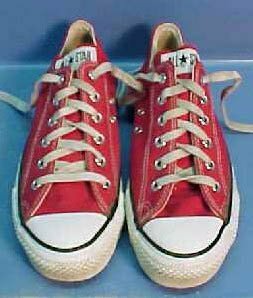 36 Red Low Cut Chucks Wearing untied red low cut chucks. 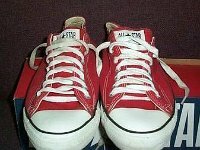 37 Red Low Cut Chucks Wearing red low cut chucks, top view. 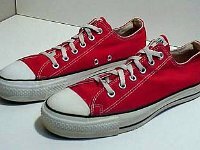 38 Red Low Cut Chucks Wearing red low cut chucks, side view. 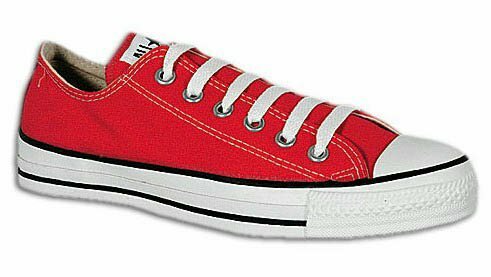 39 Red Low Cut Chucks Wearing red and black low cut chucks, front and top views. 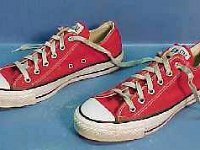 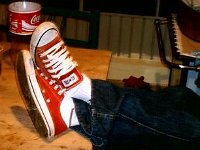 40 Red Low Cut Chucks Wearing a left red low cut chuck, angled side view. 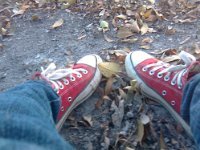 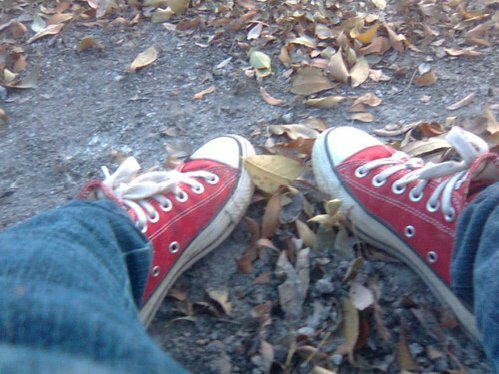 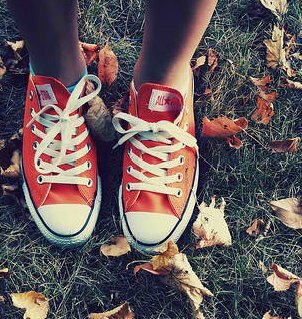 41 Red Low Cut Chucks Wearing low cut red chucks outdoors. 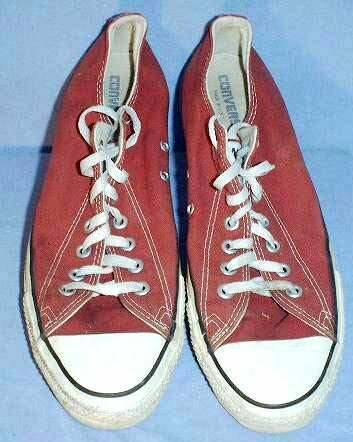 42 Red Low Cut Chucks Wearing red low cuts, partial front view. 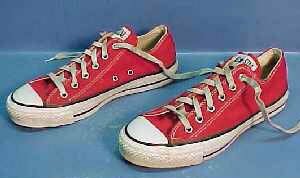 43 Red Low Cut Chucks Wearing red low cuts. 44 Red Low Cut Chucks Kicking back in new red low cuts, angled side and top views. 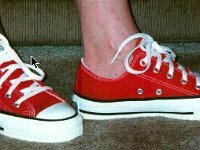 45 Red Low Cut Chucks Decorated red low cut chucks, showing the toe caps. 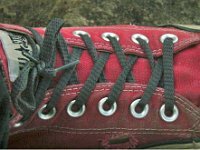 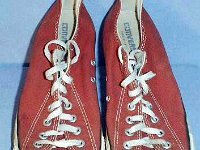 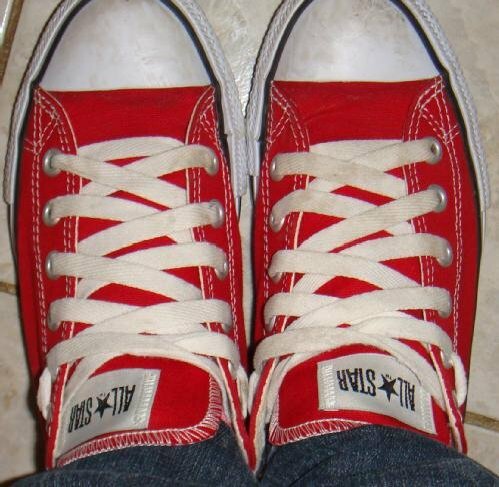 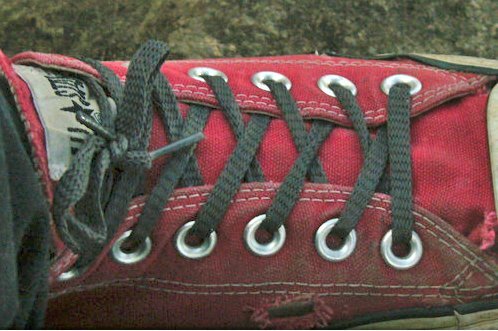 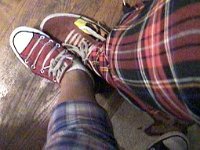 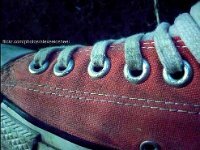 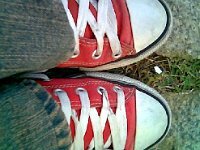 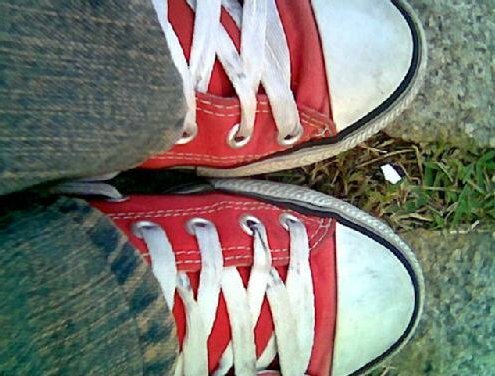 46 Red Low Cut Chucks Worn red low cut chuck with gray shoelaces. 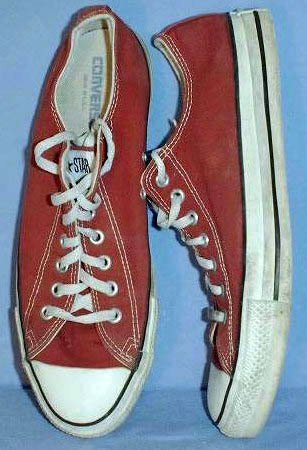 47 Red Low Cut Chucks Wearing re low cut chucks, partial top view. 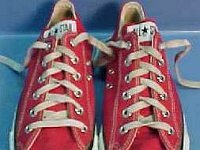 48 Red Low Cut Chucks Wearing red low cut chucks, top view. 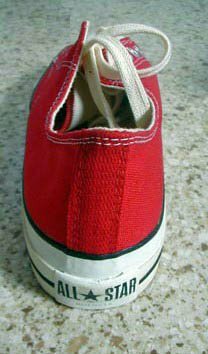 50 Red Low Cut Chucks Partial side view of a worn right red low cut chuck. 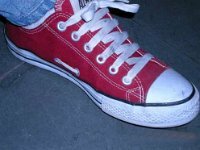 51 Red Low Cut Chucks Top view of someone wearing red low cut chucks. 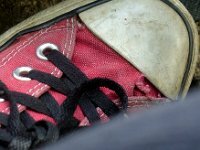 52 Red Low Cut Chucks Partial closeup of a worn red low cut chuck with black shoelaces.